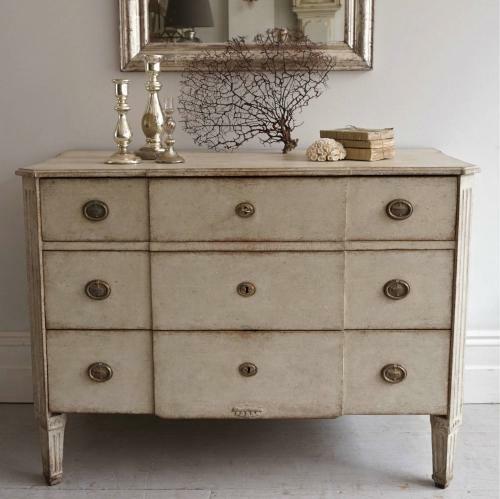 A large and particularly handsome 19th century breakfront chest in the Gustavian style. Featuring canted & fluted corners with a trio of triangle carvings to the foot of each column, and tapered & fluted feet. Swedish circa 1850.